All photos courtesy of Sixty LES. On Manhattan's Lower East Side — where young, energized, style-conscious crowds gather to shop, drink, and stay out very late — stands tall as a boutique option for travelers looking for luxurious lodging in the middle of one of NYC's most happening neighborhoods. Vibe: A luxurious, industrial-chic home base in the center of the downtown indie scene. Standout Detail: The pool. 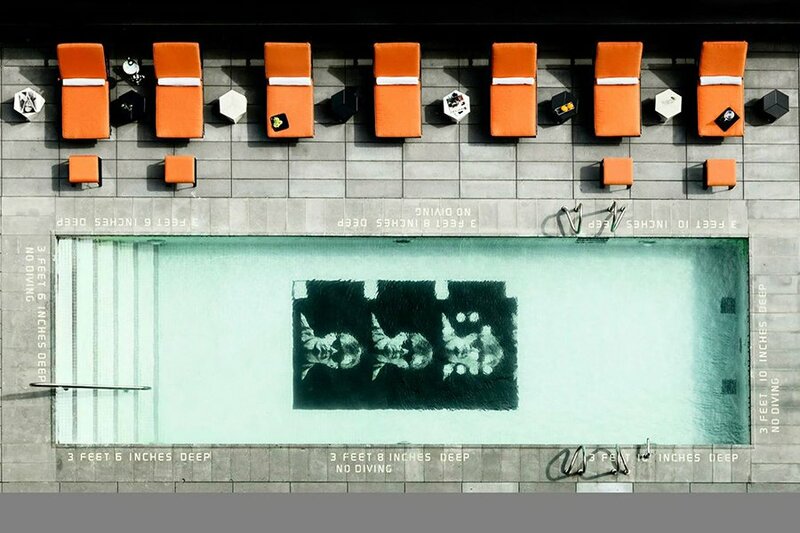 It's reserved for guests only, has food and drink service on the pool deck courtesy of Blue Ribbon Sushi Izakaya, and is emblazoned on its bottom with the visage of Andy Warhol. This Place is Perfect For: Fun-loving travelers looking for a stylish retreat with access to great food, shopping, and nightlife. Rooms: Guest rooms are compact yet handsomely designed — illuminated light box headboards feature photographs from Lee Friedlander, slate showers are complemented by Ren toiletries and Frette terrycloth robes, LCD flat-screen TVs have premium cable, and gourmet minibars are stocked with snacks from Dean & Deluca. The more spacious suites have living areas, floor-to-ceiling windows, and (apart from the King Suite) terraces for viewing the iconic skyline. What's on Site: Free WiFi, business center, boardroom, honesty bar, babysitting services (upon request), 24-hour gym, sauna, full-service spa, and seasonal outdoor swimming pool. Food + Drink: Blue Ribbon Sushi Izakaya specializes in Japanese small plates, upscale family-style dishes, and shochu cocktails, while Blue Ribbon Beer Garden is all about Southern barbecue, small-batch brews, and ping pong matches al fresco on the hotel's second floor. 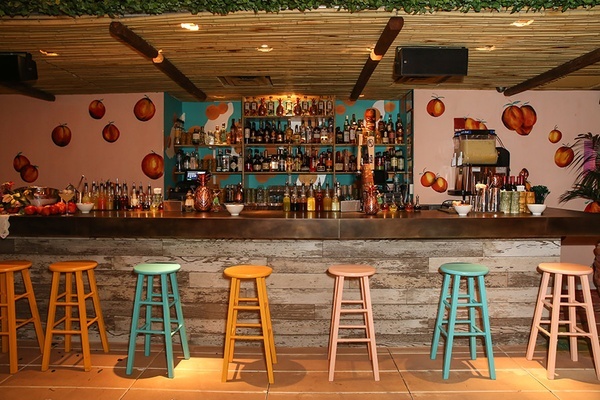 Above it all, Tiki Tabu brings topical drinks, Asian-inspired bar snacks, lush vibes, and late-night dance parties to the rooftop. 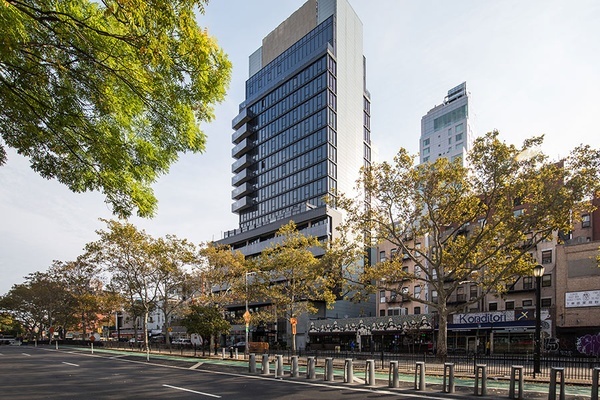 Straddling Manhattan's East Village and Lower East Side, the ultrachic 141-room hotel commands a presence in one of the city's most fashionable nightlife destinations, with two Blue Ribbon restaurants, an attractive rooftop tiki bar, and access to Rockwood Music Hall next door. 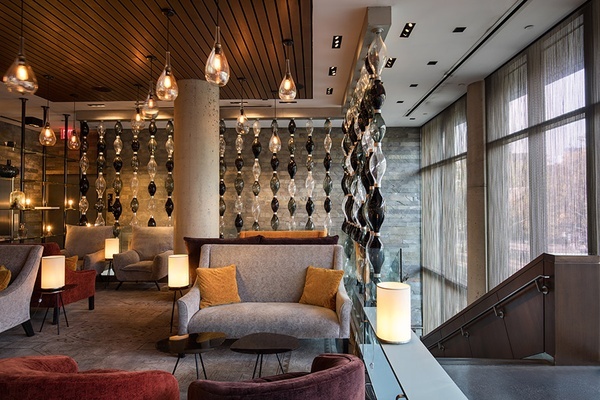 Guests here have the luxury of walking to some of downtown's best independent shopping, eating, and drinking establishments before retiring to rooms fashioned by the design guru himself, Jim Walrod. Talk about being in the center of the action. For extra exclusivity poolside, guests can rent a 600 square-foot cabana, which comes with seating for up to eight people, a wet bar, a private bathroom with rain shower, a sound system, a flat-screen TV, and refreshments (all included). Grab a bagel and a schmear from , then walk down Orchard for a lesson on Lower East Side history at the . Great shopping is a matter of walking around, but don't miss for menswear, for rare beauty products, and for sunglasses in a storied setting. 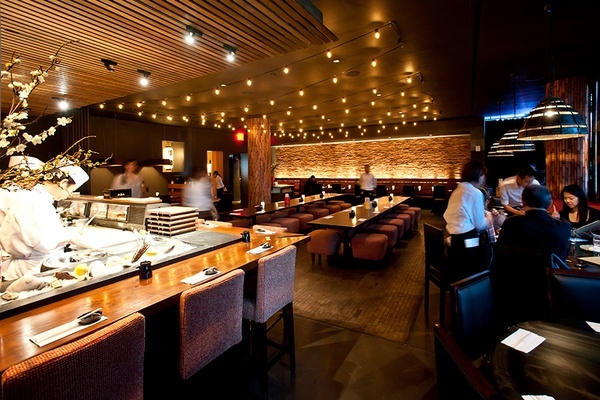 The area is a hotbed for restaurants new and old. For dinner, you'll have to decide between farm-to-table savior , trendy noodle slinger , San Francisco import , and the famous , among many others. For drinks, is a quintessential New York dive, Attaboy (134 Eldridge St.; no phone) is speakeasy gold, and is the fashion-forward new kid on the block.